It is possible to transfer events from Outlook or iCal calendars to Google. 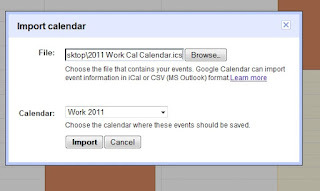 While this article will not explain the various advantages of placing your calendars inside Google, we will show you how to perform the import operation. Moreover, you might be tempted to centralise all your Microsoft Outlook calendars (such as work, friends and family) and import them in Google. 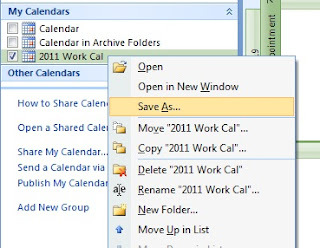 The very first step is to save your Outlook Calendar in iCalendar format by right clicking on the calendar and choosing 'Save as...'. Click 'Import' and voila`! 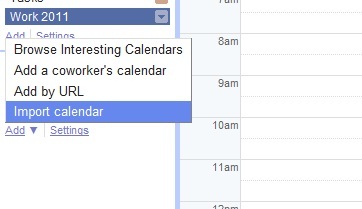 You got your calendar details imported to your Google Calendar. Remember that you can import into a different calendar by first creating a new blank calendar before doing the previous step.